Few figures in cinema history are as towering as Russian filmmaker and theorist Sergei Mikhailovitch Eisenstein (1898–1948). Not only did Eisenstein direct some of the most important and lasting works of the silent era, including Strike, October, and Battleship Potemkin, as well as, in the sound era, the historical epics Alexander Nevsky and Ivan the Terrible—he also was a theorist whose insights into the workings of film were so powerful that they remain influential for both filmmakers and scholars today. ?Seagull Books is embarking on a series of translations of key works by Eisenstein into English. 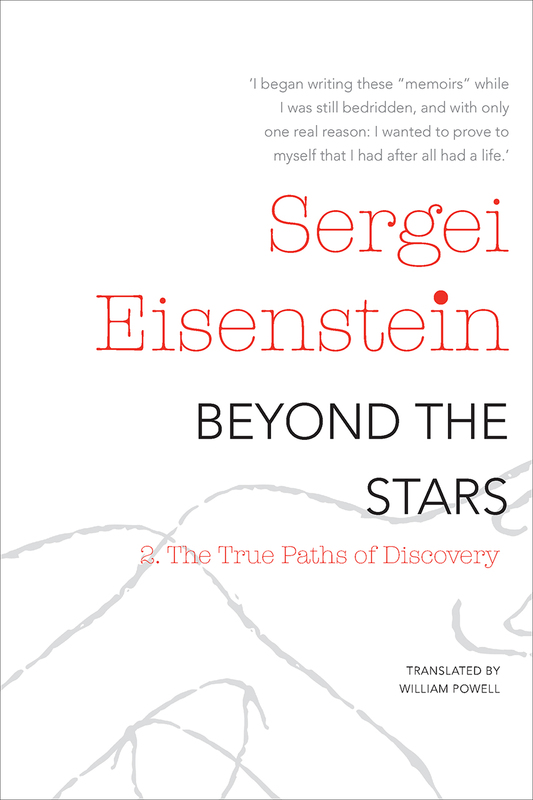 A fascinating memoir in two volumes, Beyond the Stars—first published by Seagull in 1995 and now available again. Begun as Eisenstein approached fifty, it is full of the famous names of his era, including Charlie Chaplin, Mary Pickford, John Dos Passos, Jean Cocteau, and many more; at the same time, it is a serious book of inquiry about film as a medium, offering countless reflections by Eisenstein on his own work and that of other movie pioneers.